This is a mixed gemstone wrap around bracelet. I have used a vast mix of agates, onyx, oplaite, goldstone, quartz, jaspers, carnelians and the list goes on! 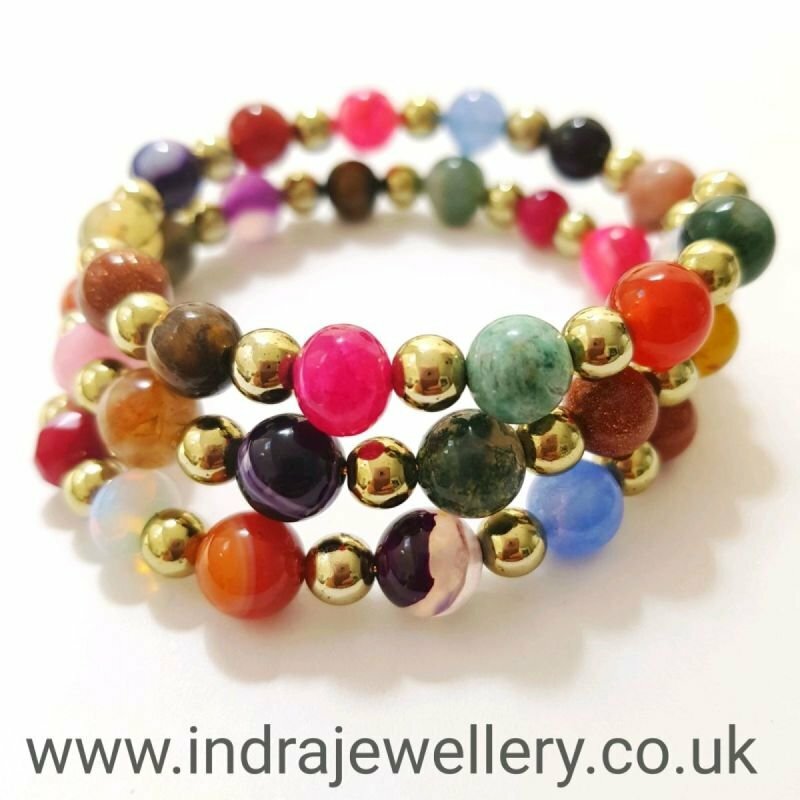 all these gemstones have amazing benefits, and have an array of different colours and textures. I have seperated these stones with little gold spacer beads. Wrap around bracelets are easy to wear, they are made from memory wire and so you just wrap it on your wrist for easy fitting! This necklace has such a large mix of gemstones it would be hard to single out specific ailments it could help with! but you will feel fabulous wearing it!